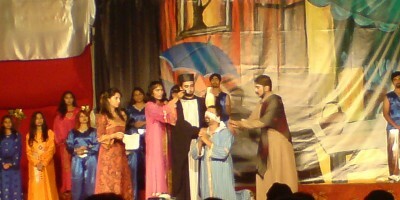 “The Centurion” is a play based on the life of St. Paul. June 28 08 till June 29 09 was declared The Pauline year by the Pope and this play was organised in honour of that. It was playing for 2 days in Salmiya so Ro and I decided to go for it. It was amazing. The entire production involved over 75 people and was planned and practiced over the last 4 months. The actors included elders as well as children and it was great to see them all in such harmony. 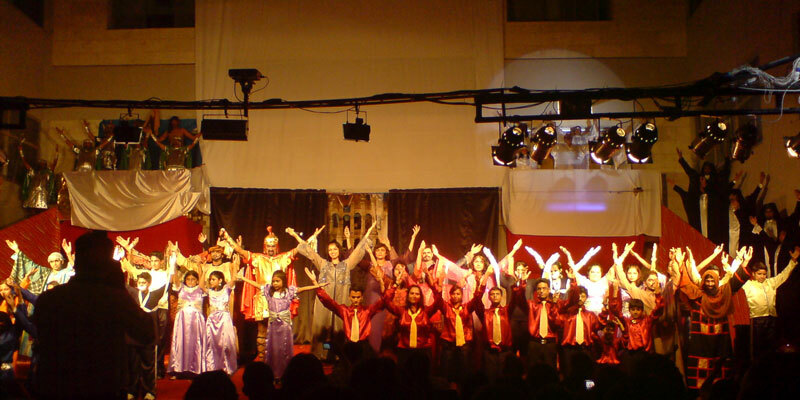 I was very impressed with the level of professionalism not just on stage but even with the choir, lighting, sound effects and the stage management in general. And that stage was huge with balconies and ramps. Kudos to the entire team. It will be playing at the City Cathedral this weekend and I highly recommend attending this to all. Go early and pick the seats closer to the front if you plan to take any shots.